This segment provides the viewer / reader with news they might have missed and focuses on key issues related to current and past events. These articles are provided courtesy of our many contributing sources. 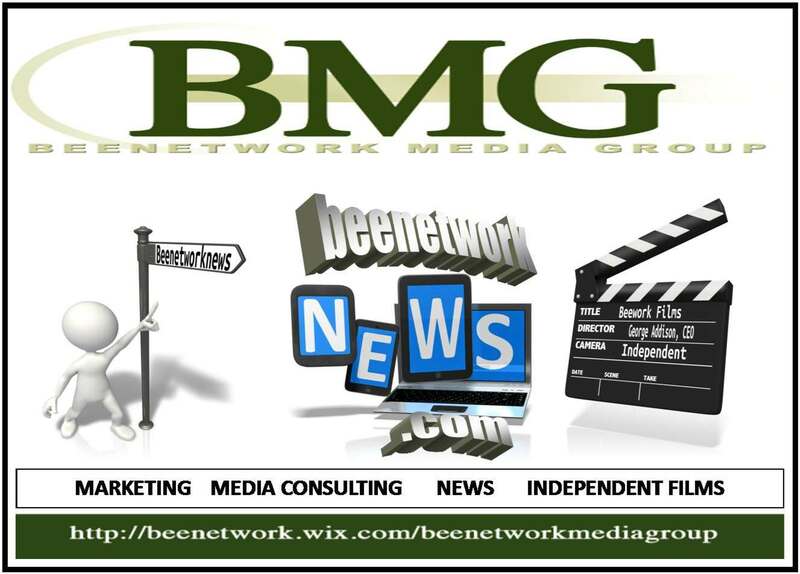 We ask that you enjoy these stories and continue your support of beenetworknews.com, our contributing sources and publishers. CHATTANOOGA, Tenn. and MADRID (23 June 2015) — Volkswagen Group of America, Chattanooga Operations, LLC (Volkswagen Chattanooga) and Gestamp, a company that designs, develops and manufactures metal components and assemblies for the automotive sector,announced today that their partnership for metal parts stamping in Tennessee will grow and the commitment will lead to more than 500 additional jobs in Chattanooga. This project will include an expansion of Gestamp’s existing Chattanooga facility and the construction of a new stamping facility in Enterprise South to accommodate stamping of Class A parts including external metals skin for the new mid-size SUV. Gestamp will invest $180 million in the project that triples its capacity in Chattanooga. U.S. Sen. Bob Corker, Tennessee Gov. Bill Haslam and Economic Development Commissioner Randy Boyd joined Volkswagen and Gestamp officials along with local business leaders for the announcement at the Chattanooga production facility that will build its 500,000th Passat next month. “The importance of this expanded partnership for Volkswagen and Chattanooga cannot be overstated,” said Christian Koch, President and CEO of Volkswagen Chattanooga. “I am grateful for the hard work of Gov. Haslam and Commissioner Boyd, and Senator Corker as well. They all worked tirelessly to make the impossible happen. We have put another crucial pillar into place for our future success and the benefits of this expansion will impact the community for years to come,” Koch said. Currently Volkswagen uses press shops in several states to provide all the stamped metal parts for the award-wining Passat built-in its Chattanooga facility. This new expanded partnership will allow all of the external sheet metal stamping and a majority of the structural parts to occur at or near Enterprise South, greatly reducing the cost of transportation. Gestamp Chattanooga will offer for the first time hot stamping technology, in which Gestamp is a global leader. This state-of-the-art process allows the metal to become lighter, but harder, contributing to the reduction of greenhouse gas emissions while improving the occupant’s safety inside the car. Chattanooga’s new hot stamping line will become the 13th of its kind in Gestamp’s US footprint. “Gestamp was an early believer in Chattanooga in 2009 and now we are taking a remarkable step forward with a macro-project that multiplies our size, adds Class A, introduces hot stamping technology and brings chassis for the first time into our North American operation,” said Francisco J. Riberas, President & CEO of Gestamp. Volkswagen has agreed to give up 59 acres under its control in a land swap with the City of Chattanooga and Hamilton County governments to provide space adjacent to the factory for the new Gestamp facility. The City and County will provide Volkswagen with land of similar value. “Today’s announcement is yet another reminder that the Volunteer State is an outstanding place to do business, and I could not be more proud that Gestamp is deepening its commitment to my hometown,” said Sen. Bob Corker. “From day one, we knew that if Volkswagen decided to build its mid-size SUV in Chattanooga it would create a jobs multiplier effect that would be felt across our state and region for years to come. I am thrilled for the families in Hamilton County who will benefit from these new jobs, and I applaud Governor Haslam and his economic development team for their tireless work to build on this important partnership, which only further solidifies Tennessee as the premiere location for automobile manufacturing in the nation,” Corker said. “We are proud to welcome Gestamp to the Chattanooga and Hamilton County advanced manufacturing automotive sector. Gestamp is a globally diversified engineering company embracing leading technologies and world class practices. We’re excited to have the chance to offer our workforce the opportunity to join this organization,” said William B. Kilbride, President/CEO of the Chattanooga Area Chamber of Commerce. Rear Adm. Valerie K. Huegel will be assigned as director, Central Command Deployable Distribution Operations Center, Camp Arifjan, Kuwait. Huegel is currently serving as commander, Navy Expeditionary Logistics Support Group, Williamsburg, Virginia. Rear Adm. (lower half) Keith M. Jones will be assigned as commander, Navy Expeditionary Logistics Support Group, Williamsburg, Virginia. 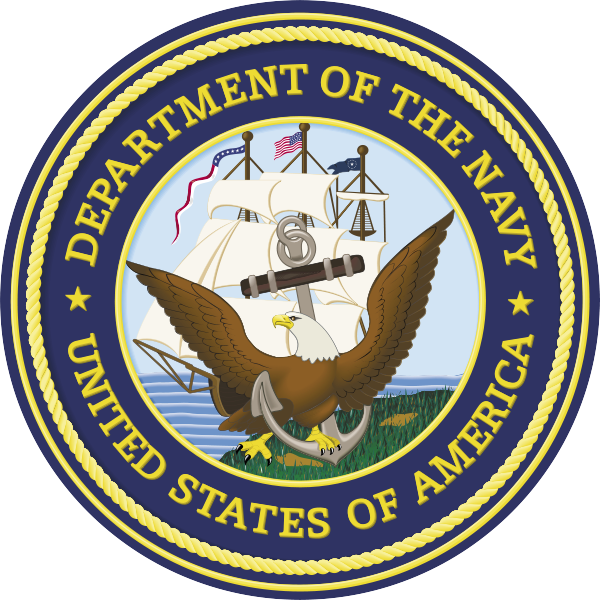 Jones is currently serving as reserve director, logistics programs and business operations, N41, Office of the Chief of Naval Operations, Norfolk, Virginia. Air Force Maj. Gen. David J. Buck for appointment to the rank of lieutenant-general and for assignment as commander, Fourteenth Air Force (Air Forces Strategic), Air Force Space Command; and commander, Joint Functional Component Command for Space, U.S. Strategic Command, Vandenberg Air Force Base, California. 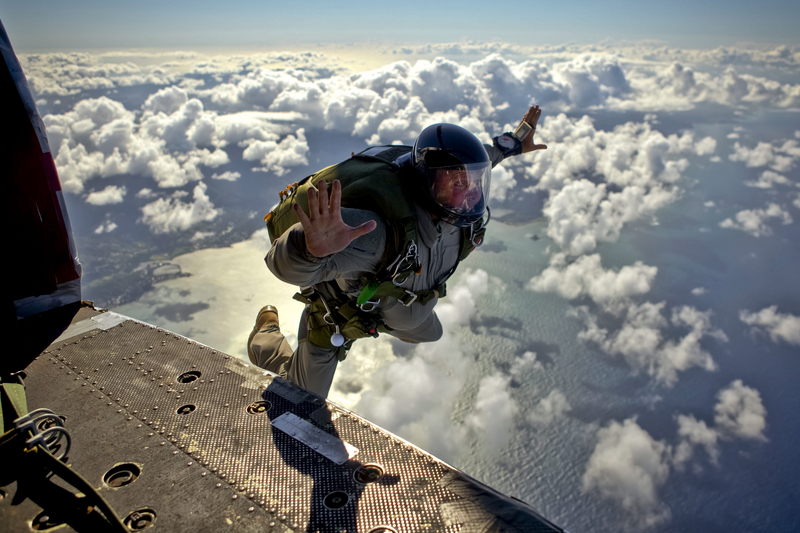 Buck is currently serving as vice commander, Air Force Space Command, Peterson Air Force Base, Colorado. Air Force Lt. Gen. Russell J. Handy for appointment to the rank of lieutenant-general and for assignment as commander, Alaskan Command, U.S. Northern Command; commander, Eleventh Air Force, Pacific Air Forces; and commander, Alaskan North American Aerospace Defense Region, Joint Base Elmendorf-Richardson, Alaska. Handy is currently serving as commander, Alaskan Command, U.S. Pacific Command; commander, Eleventh Air Force, Pacific Air Forces; and commander, Alaskan North American Defense Region, Joint Base Elmendorf-Richardson, Alaska. Air Force Lt. Gen. John W. Raymond for appointment to the rank of lieutenant-general and for assignment as deputy chief of staff, operations, Headquarters U.S. Air Force, Pentagon, Washington, District of Columbia. Raymond is currently serving as commander, Fourteenth Air Force (Air Forces Strategic), Air Force Space Command; and commander, Joint Functional Component Command for Space, U.S. Strategic Command, Vandenberg Air Force Base, California. Air Force Lt. Gen. Tod D. Wolters for appointment to the rank of lieutenant-general and for assignment as director for operations, J-3, Joint Staff, Pentagon, Washington, District of Columbia. Wolters is currently serving as deputy chief of staff, operations, plans and requirements, Headquarters U.S. Air Force, Pentagon, Washington, District of Columbia. 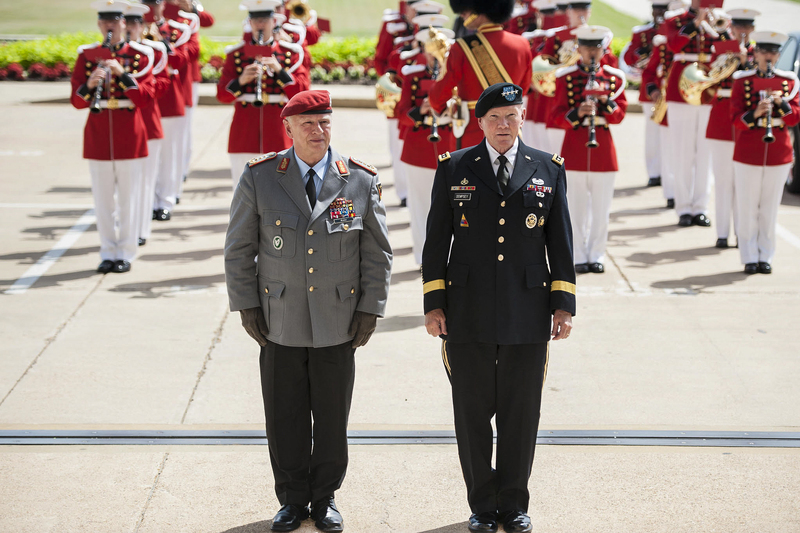 U.S. Army Gen. Martin E. Dempsey, right, chairman of the Joint Chiefs of Staff, and German Army Gen. Volker Wieker, chief of staff for Germany’s armed forces, stand during an honor cordon at the Pentagon, June 23, 2015. The two leaders met to discuss matters of mutual importance. 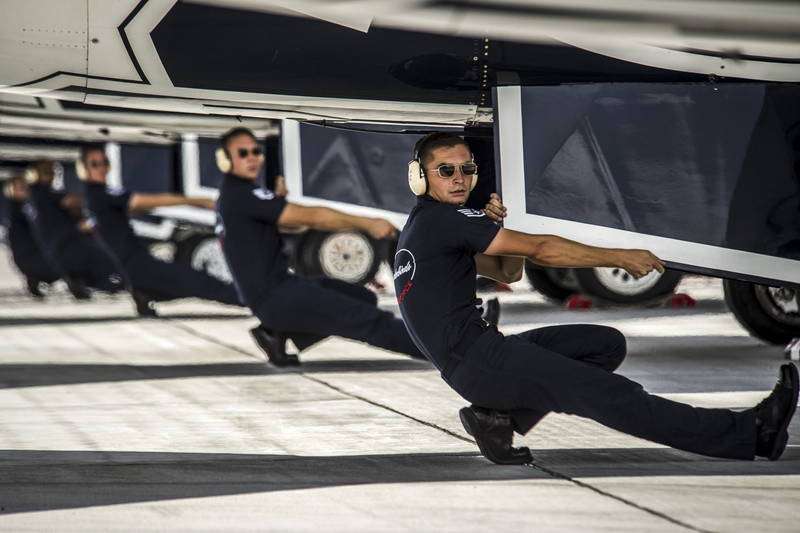 Air Force Thunderbirds air demonstration squadron crew chiefs perform end of runway checks before the start of the demonstration for the Wings Over Whiteman air show practice on Whiteman Air Force Base, Mo., June 12, 2015.